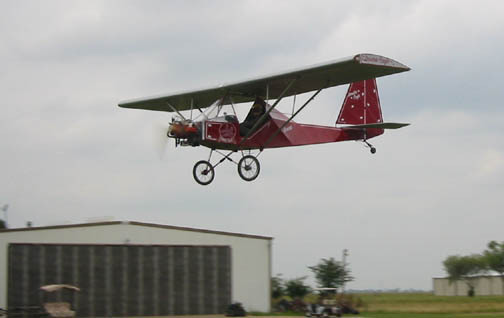 The Double Eagle Airplane is a "plans built" design powered by the widely available stock VW engine, that will carry 2 people with a useful load around 515 lbs. 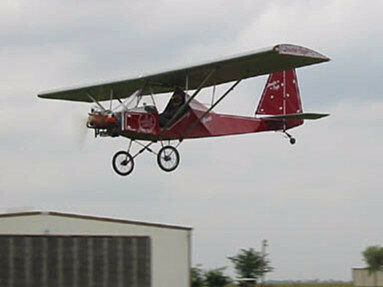 It can be built and flown under the Light Sport Aircraft Category. This is a strong and simple airplane designed using traditional and proven aviation tubular steel technology. It is easy to build and there has developed around it a strong core of builders that offer help and support for building the aircraft. There is also a full kit developed by John Bolding in consultation with the designer that makes building this design even faster. 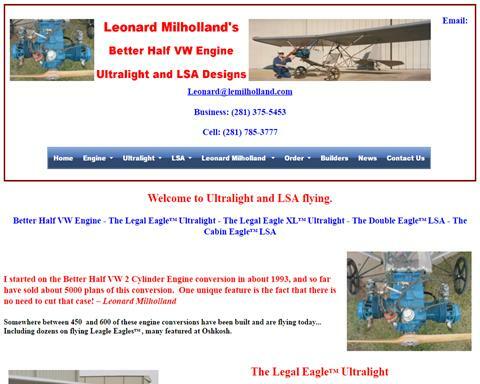 Want to build your own Legal Eagle Ultralight or Double Eagle Light Sport Aircraft? Then pay a visit to Leonard Milholland's website where you can order plans.